Ladies Cotswold side from Bristol/Bath area. Also do stave dances, which originate from the Friendly Societies (early form of insurance companies). 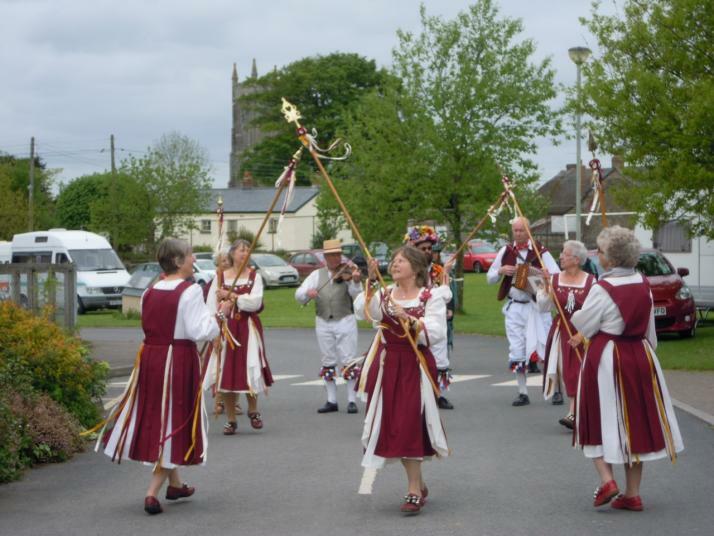 Somerset Morris practise on Thursday evenings at Marksbury Village Hall near Bath. We dance a mixture of Cotswold Morris dances and local West Country Stave dances taken from the minute books of local Friendly Societies. Our staves are mounted with original brass stave heads.